In this level we don’t use Balloons. Just destroy the Mortar and then deploy a bunch of Archers to destroy the village. Drop 2 barbarians to set of the Bomb Traps. Destroy the upper Wall with the wall breakers. Deploy 20 Archers to take out the Mortar. Deploy 60 Archers by the Archer Towers at the bottom. Deploy the last 20 Archer at the Cannon. 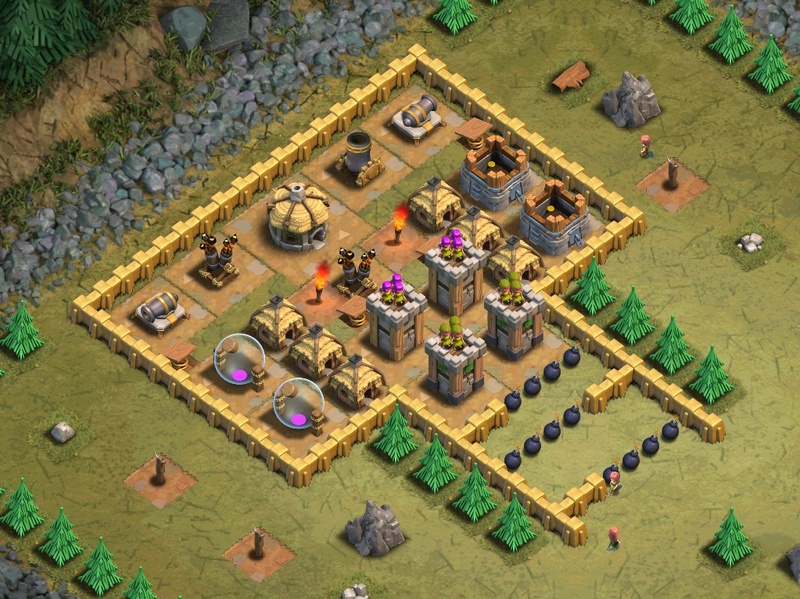 Set off the Bombs with a Giant, then deploy 30 Giants as close to the Archer Towers as possible (lv4). Use the Healing Spell if necessary. The battle ends when you have expended all your troops, clan reinforcements and damaging spells.